The past two months saw Armenia engaged in an extraordinary flurry of diplomatic activity. Shortly after the parliament approved the post–Velvet Revolution government’s draft foreign policy program in early February, an Armenian delegation led by Prime Minister Nikol Pashinyan paid an official visit to Iran (Armenpress.am, February 27). Afterwards, on March 3, Pashinyan headed to Brussels to hold talks with high-level officials from the European Union regarding stepping up cooperation within the frameworks of the Armenia-EU Comprehensive and Enhanced Partnership Agreement, adopted in 2018 (Azatutyun.am, March 4, 2019; Europa.eu, June 19, 2018). 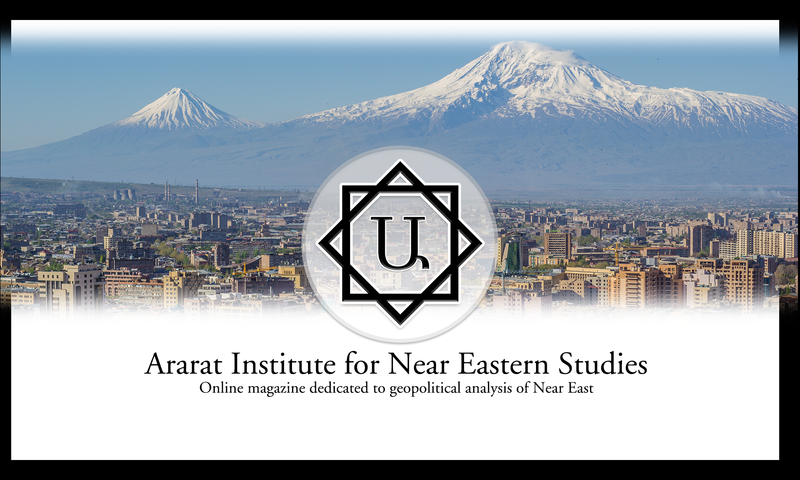 The regime change that brought Pashinyan to power last year created a political opening to effectively revitalize and adapt Armenia’s outdated foreign policy to the new realities of an evolving global order. But despite the prime minister’s recent string of visits abroad, the just-approved government program specifying the country’s foreign policy direction, in fact, offers little of substance when it comes to reinforcing Armenian diplomacy. Instead, the document restates Armenia’s self-isolationist, uni-vector foreign policy course, seeking to advance no strategy-level relations with any country other than Russia (Gov.am, February 8). Yerevan’s “key priorities” are listed as aligning with Moscow as well as investing in efforts to “enhance the efficiency” of the Russian-led Eurasian Economic Union (EEU) and Collective Security Treaty Organization (CSTO). By effectively doubling down on Armenia’s subservient relationship to Russia, the foreign policy document ends up supporting Moscow’s vision and interests in all strategic aspects. And although Armenia looks to the EU and the United States for financial assistance to support its domestic reforms, the adopted foreign policy document only suggests the possibility of a “friendly partnership” with the West. Pashinyan’s government reiterates the objective to take the lead in preventing future genocides and in organizing the international recognition of past ones. However, this idea appears ideologically unsustainable: Armenia, in fact, refuses to recognize a range of other past tragedies as “genocides”—including the Ukrainian Holodomor and the mass killing and deportation of the Circassians in the 19thcentury—while demanding the recognition of its own nation’s tragic suffering a century ago. Apart from a well-formulated strategic alliance with Russia, the document provides no detailed framework for how to build friendly relations with any other actors, falling back on vague rhetorical platitudes (Gov.am, February 8). The new foreign policy document appears to be implicitly aimed at Moscow and is written in such a way as to demonstrate post-revolutionary Armenia’s continued loyalty. Russia regularly expresses mistrust and discontent via media or mid-level officials toward Pashinyan and his team, inducing the Armenian leadership to continuously take steps to appease the Kremlin. These Russian tactics are presumably designed to keep Pashinyan’s government under permanent nervousness and pressure to consistently prove its devotion to Moscow in various forms. Besides the adopted foreign policy strategy, that pressure recently materialized in Pashinyan’s decision to dispatch a military-humanitarian mission to Syria, which allowed Russia to claim success in forging international alliances (Mil.am, Mil.ru, February 8). The adoption of the government’s foreign policy program almost coincided with the Armenian leader’s trip to Iran, on February 27. It is worth pointing out that Pashinyan was visiting Tehran not only as Armenia’s prime minister but also as the current rotating president of the EEU (Amerikayidzayn.am, February 27). Thus, it appears doubtful that Pashinyan made his way to Iran without the Kremlin’s blessing, which implies he was there to promote not only Armenia’s but also Russia’s Iran-related agenda. But above all, the visit culminated with Pashinyan boldly declaring that his country seeks to become an energy transit state by facilitating the export of Iranian hydrocarbons to Georgia—a scheme that inevitably will have to involve Russia (Mediamax.am, February 28). This initiative hinges on natural gas swaps with Iran and supplies to the Georgian market under the total distribution and control of Russian state energy corporation Gazprom, via its Gazprom-Armenia subsidiary. However, in his negotiations with President Hassan Rouhani, Pashinyan failed to endorse the formerly pending Armenian-Iranian oil refinery or bilateral railroad projects. Both of those had been impeded by the previous Armenian regime, at Moscow’s behest. The Russian propaganda asset Sputnik-Armenia itself alluded to this fact and claimed that the Georgian side will allegedly attend an upcoming quadripartite meeting in Tehran to discuss the details of these gas export perspectives (Armeniasputnik.am, February 28). In openly advocating for Gazprom’s management of Iranian gas exports to the South Caucasus, Pashinyan may be motivated by an expectation that he will, in return, obtain a waiver on further Russian energy price increases to Armenian customers. The potential Iranian gas supplies to Georgia via Gazprom-controlled transit pipelines will, apparently, augment the Kremlin’s current levels of energy influence over Tbilisi (see EDM, January 30). Moreover, this scheme may effectively be a means to bypass US sanctions imposed on Iranian energy export capabilities. In other words, Yerevan is trying to deepen its partnership with sanctioned Iran, which obviously benefits sanctioned Russia’s broader regional influence, including potentially over Georgia. Against this backdrop, the relationship between Pashinyan’s government and the Donald Trump administration is stagnating given the former’s limited scope to adequately appraise evolving global and regional tendencies. The lack of expertise and relevant knowledge among many policymakers in the current government, combined with continued weak policy projection capabilities inherited from the previous regime, is resulting in Yerevan unwittingly opposing Washington’s interests. Many members of the Armenian expert community lack the vigorous intellectual grasp needed to rationally assess the risks and challenges presently facing the country. In particular, they tend not to fully understand the US’s policies toward Iran and Russia. As a result, these domestic experts are not sufficiently able to offer feasible solutions for the mostly unskilled and somewhat undereducated new generation of policymakers in the Pashinyan government. Moreover, Pashinyan and his revolutionary cabinet remain largely preoccupied with populist gestures. Armenia’s foreign policy professionals misunderstand and underestimate the long-term consequences of pursuing an underbalanced and largely subordinate foreign policy. If this dynamic persists, the country will almost certainly face serious repercussions in the coming months and years. The first signs of this are already apparent, as Yerevan’s involvement in the Kremlin’s Syrian gamble as well as its willingness to engage in circumventing sanctions on Iranian gas exports make clear.